The Hammer 2p from Marmot is an ultra-light 4 season/mountaineering shelter. A single wall design and minimal design eliminates all the fluff, leaving only the bare essentials for the lightest packed weight possible. Can a light weight single wall shelter hold up to the challenges of high elevation backpacking on the East Coast? Holding true in hind winds, when properly pitched. The Hammer is a single wall shelter, meaning there is no protective mesh or fabric between the user and the wall of the tent. This minimizes weight, but potentially exposes you to condensation and moisture. The tent includes a vestibule, which attaches to the front of the tent to expand storage capacity. This can be left at home to cut weight if one chooses. 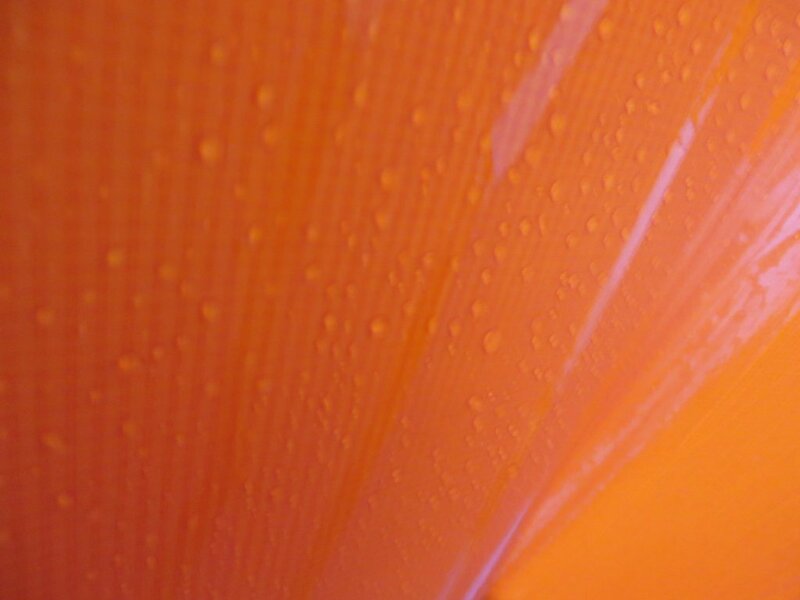 The tent is comprised of a 50d polyester treveria for the tent canopy (the orange sections) and a 68d polyester rip-stop. The tent has 28 square feet of floor area, and a 6 square foot vestibule. 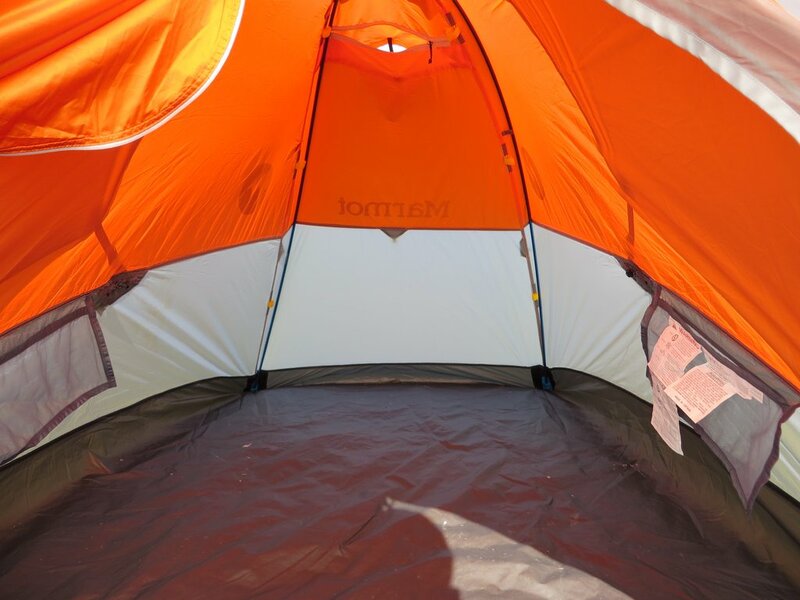 The entire tent weighs in at only 4 lbs oz (2212g), including the tent, vestibule, stakes, sacks and instructions. There are two vents in the tent, one low on the tent near the head, just above the bathtub floor, while another sits high in the tent above the head. This creates a nice flow of air that evacuates wet hot air, reducing condensation. They can be opened and closed from the inside of the tent, which is nice. The Hammer 2p retails for $529. This is the lightest 4 season tent I’ve ever tested. Under 5 pounds is very hard to find, and only a handful of durably built models exist out there. 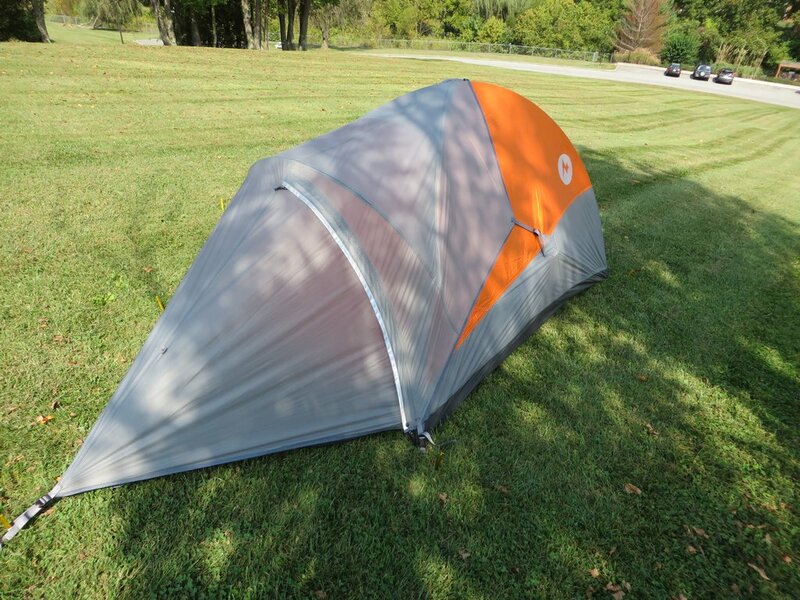 It’s quite sturdy despite the light weight, with thick poles and high denier tent materials. I never once felt like I needed footprint, or to take my boots off when climbing inside. The steams are sealed and the entire tent is water tight. No rain is going to get inside this tent. The zippers are sturdy and have taken a lot of abuse, as I’m often not very gentle with them when I’m tearing my way inside my tent during a storm. The tent pitches from the inside. You assemble the poles, climb inside, and resurrect the tent from within. 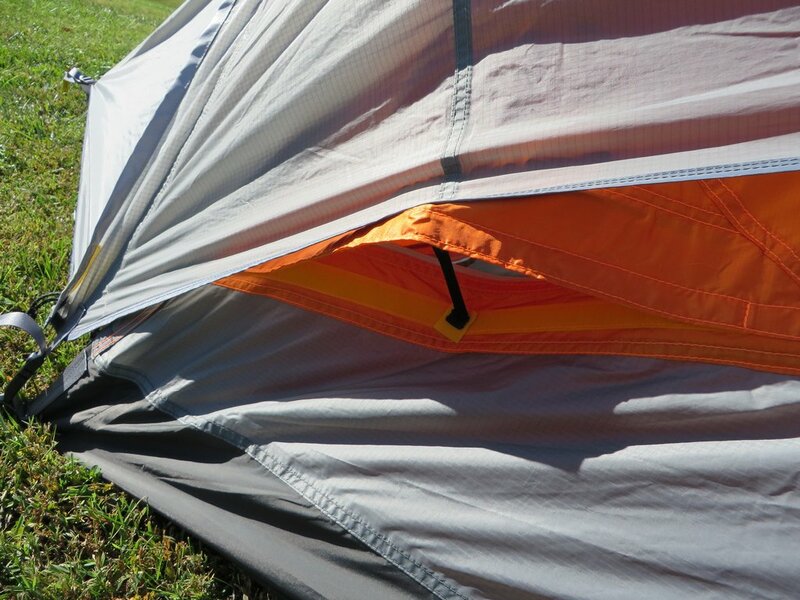 The process is simple: Just pop the poles into the pockets int he far corner, and arch the poles while pulling them inside the tent, and slip them into small grommets near the door. Stake it out and your done (plus the optional vestibule). 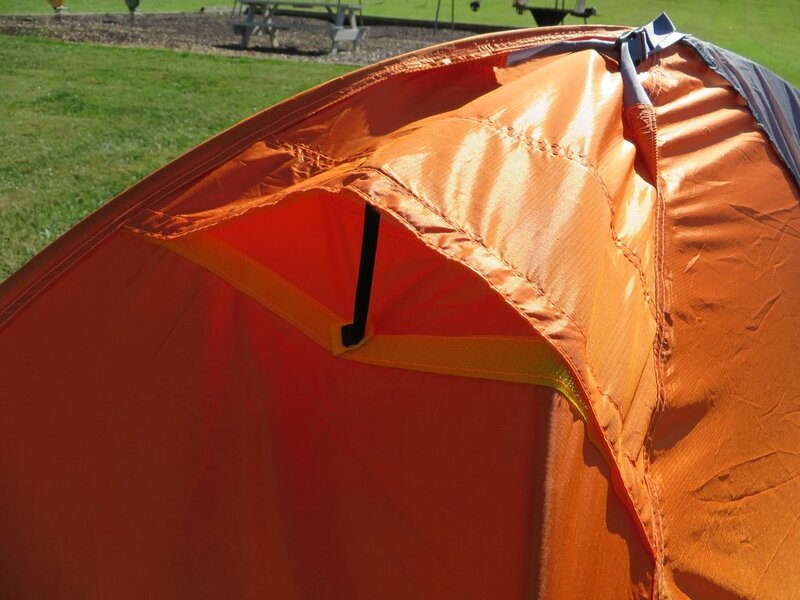 This allows you to pitch the tent under cover, avoiding wind, rain or snow in the process. Another benefit of this, is the poles will not freeze together likely, as they’re protected from the elements. The detachable vestibule adds options, allowing you to leave extra weight at home if you’re going solo and don’t need the extra room. When fully assembled (with the internal Velcro straps attached to the poles and guy out lines attached) the tent does pretty well against hard winds. 30 mph winds barely shook the tent, despite the simple design. The guy lines on the sides of the tent can be adjusted from inside, allowing you to re-tension the tent during the night if hard storms are stretching things out a bit. The tent stays nice and warm. Even below freezing, I was able to stay comfortable inside the tent without my jacket into the 30’s. It’s pretty affordable for a 4 season tent, at $529. A single wall shelter certainly has its limits. Camping at around 6100 feet during a wind storm with clouds blowing through the site, the tent became a bathtub. Even before I was inside the tent, the walls were beginning to build up moisture. Every piece of equipment I had inside became soaked. The moist air within the clouds blew through the breathable tent walls and vents, and became trapped inside, sticking to the walls forming droplets. Hard wind shook the tent just enough to rattle the droplets into rain that poured down inside all night. Puddles formed, sleeping bags became wet, pads were soaked top and bottom, literally every piece of gear inside was wet. Even items inside my backpack were soggy by morning, including my backup gloves and socks. The only items that stayed dry, were my boots, which I stored under the vestibule and not inside the tent itself, oddly enough. Luckily, inside the tent was fairly warm, and nothing froze. There was plenty of ice outside the tent, however. This is a reality of living on the East Coast, were the humidity frequents over 50%. The higher the humidity, the less water can evaporate (100% means no more water can be absorbed into the air, and water will not evaporate at all), and thus the more water will be trapped inside the tent from the air or your breath or moisture in the air. If you live somewhere that the humidity is climbing over 60%, this will cause issues. There are no guy-out points on the front of the tent. This creates a weak point where the tent can cave in a bit under high winds. As long as you use the Velcro straps to secure the poles, this isn’t much of a problem. If you forget this, however, you’ll find your tent bowing into dramatically during a hard storm, as I did when I forgot to secure one side. 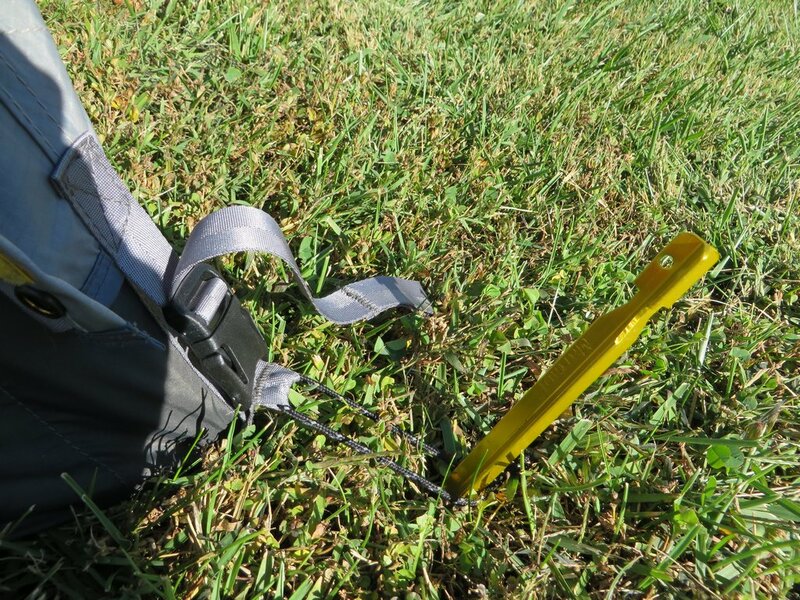 The clips that connect the vestibule to the tent body have extra strap that dangles across the tent. 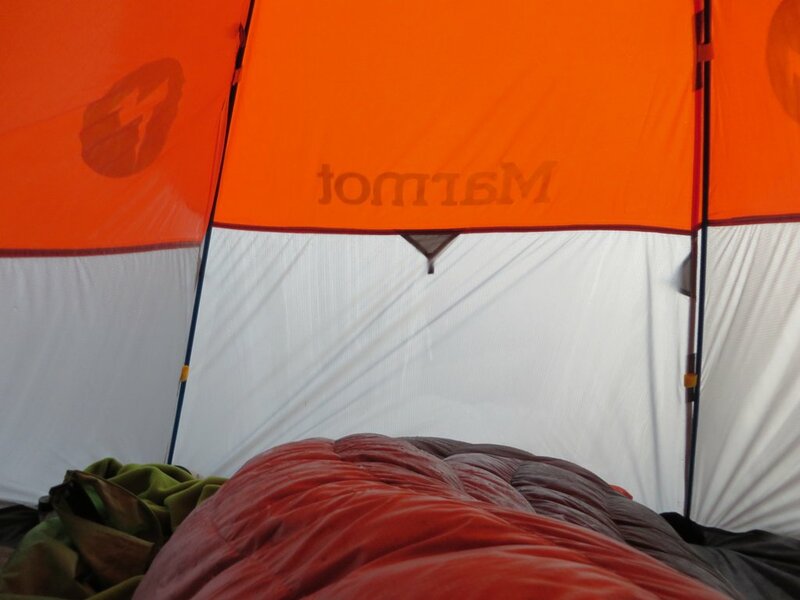 During a storm, the flap around and rub on the tent, which kept me awake for a bit. This is what happens when you forget to secure the poles inside with the clips. Still took high winds from every direction except the side well. The tent doesn’t come with enough stakes to guy-out the back of the tent. You’ll have to add those if you want more stability, and you should considering it’s an option. It does come with guy line, so you can attach them to anchors already in place, but you’ll have to cut it to length as it’s one long, cheaply built strand, unlike the rest of the tents lines. The vents, and the door, do not have mesh on them. This is probably due to the fact that the tent is made to be used in cold weather, usually below freezing. You’ll typically not have to worry about bugs or animals during these conditions, so it’s not a huge deal. This does limit the tents usable seasons though. More of a 1 season tent than a 4 season, as you won’t be able to leave the doors and vents open during hot weather unless you want to deal with creepy crawlers. The tent itself is very short. Even at 5’8”, I was practically a wall at all times, either the head or the foot of the tent. If you’re any taller, you’ll probably be touching walls at all times. Space is very limited. It’s adequate for one, but you’ll be very close if there are two people inside. The vestibule size is good enough for storing equipment for two, but you may need to do some crawling to get in and out with all that gear inside. Soggy morning after a strong storm. Warm, but wet. I know I ragged on this tent pretty hard, and for good reason. Mountaineering/ 4 season tents deserve the most scrutiny of any type of tent. It needs to not only keep you comfortable, but it needs to keep you safe. This is a tent that is designed to be used away from warm, humid environments. 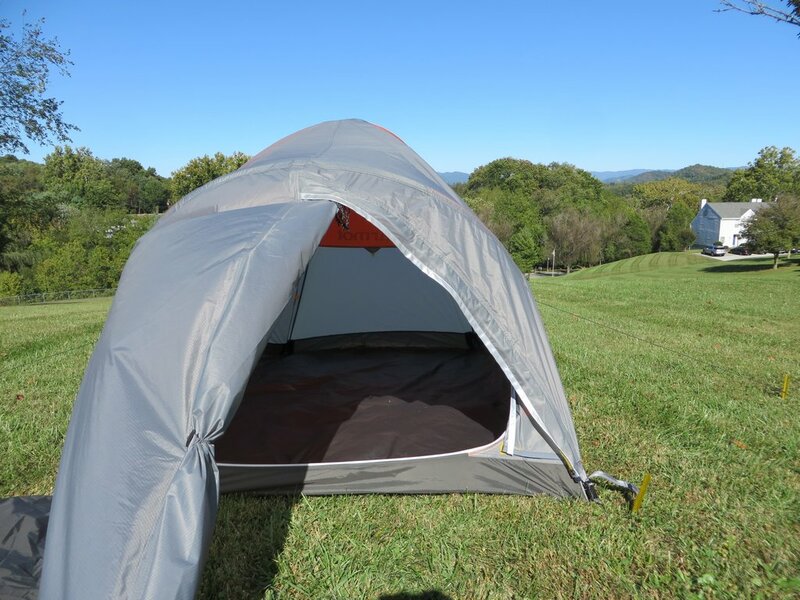 You’ll only want to use this tent in below freezing temperatures, or areas where humidity isn’t much of an issue. If you live on the East Coast, or anywhere else that’s humid most of the year, or more importantly winter, avoid this tent at all costs. This is not for you. Otherwise, if you live where the winters are cold and dry, this is a tent to consider. 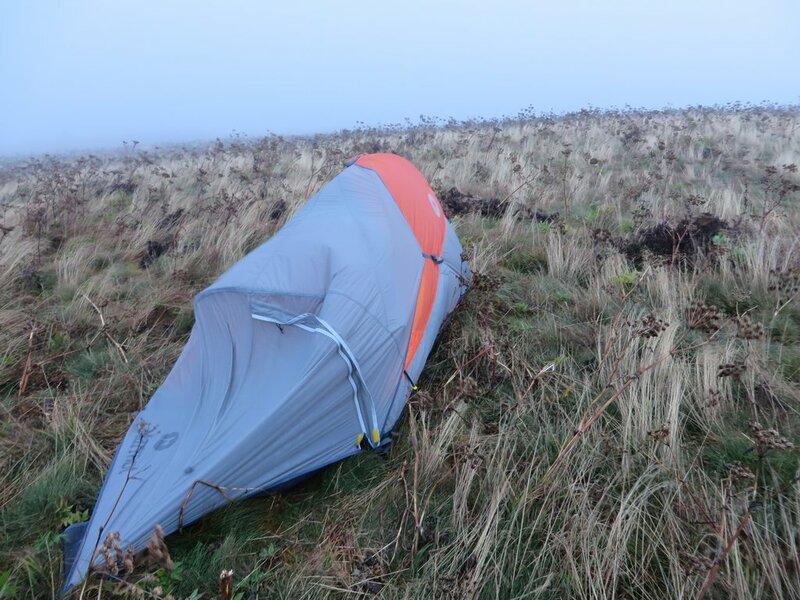 It’s light weight, roomy enough for two, and built well enough to handle strong winds when pitched properly. Ventilation is sufficient when there is a little bit of a breeze, and the tent handles wind great considering the lack of guy-out points on the front of the tent. 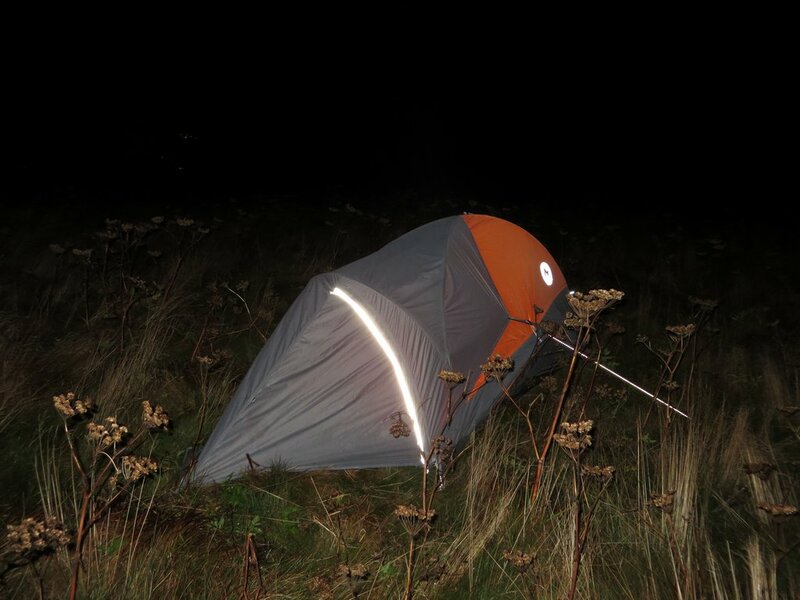 If you’re looking for lightest weight 4 season tent possible, without breaking the bank, this could be worth looking into, in the right environment. Otherwise, you’ll want to keep looking. Mine has an aluminum tubular cylinder, exactly like a pole repair sleeve, except the inside diameter is much larger than the poles. Do you know what this is for? That sounds like the repair sleeve for this one. They’re large and designed to easily fit over poles of any shape or condition (slide over bends, kinks, and breaks). A little tape is often required to hold them in place, but they do the trick. Silver if I recall?